EVENT: Assisted dying and palliative care - two antagonistic practices or two sides of the same coin? Please join members of the Australian Centre for Health Law Research for canapés and beverages in Room-Three-Sixty followed by the annual public oration from Professor Luc Deliens. Topic: Assisted dying and palliative care - two antagonistic practices or two sides of the same coin? Note: CPD points may be available through your professional association or college. Abstract: In the international debate about assisted dying, it is commonly stated that assisted dying is incompatible with palliative care. In Belgium, where euthanasia was legalised in 2002, empirical evidence can shed light on this relationship. In a context of legalised euthanasia, euthanasia and palliative care do not seem to be contradictory practices. A substantial proportion of people who make a euthanasia request are seen by palliative care services, and for a majority of these, the request is granted. The Federation for Palliative Care Flanders-Belgium strongly opposed the legalisation of euthanasia before the euthanasia law was implemented in 2002, but their position has changed dramatically since then. In their latest position statement, they endorsed the viewpoint that euthanasia can be embedded in palliative care. In this lecture, the complex relationship between euthanasia and palliative care services will be further explored within a context of legalised euthanasia in Belgium. 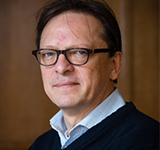 Luc Deliens, MA, MSc, PhD, is a Professor of Palliative Care Research, Member of the Royal Academy of Medicine of Belgium, and Founding Director of the End-of-Life Care Research Group of the VUB University & Ghent University.